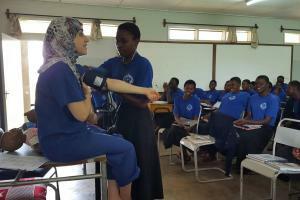 The first District 1090 Vocational Training Team visited Kamuli Mission Hospital and its Nursing School in Uganda in April and September 2014. The project was initiated by midwife Gillian Pearce of Elthorne-Hillingdon Rotary Club, with retired GP Jim McWhirter of Henley Bridge Rotary Club (now a member of Reading Matins Rotary Club). Jim had first visited Kamuli Mission Hospital in January 2009 and then Gillian joined him on a visit in April 2010. From there they developed the idea of a Rotary Foundation Global Grant application to fund refurbishment of the buildings and visits by a team of medical professionals who could provide training in the nursing school and equipment for classroom teaching. The aim was to improve both the facilities and the skills at the hospital and the nursing school, with a focus on midwifery, making a long-term, sustainable difference. KMH has 160 beds, serves a rural community of 750,000 and generally has just 2 or 3 doctors. With the support of both of their Rotary clubs, other clubs across the district and the District Executive, and Rotary Doctor Bank, the project was developed and funds raised. Team members were selected in 2013 following a call for applications in hospitals across the Rotary District. Three team members were selected to join the team leader Gillian on the April visit and a fourth team member was recruited for the follow up visit in September. Following the success of the 2014 visits, the District 1090 Executive team agreed to support ongoing visits to Kamuli Mission Hospital and the Nursing School. These visits were to follow the same VTT model, but rather than being funded by a global grant, they were supported by district grants and by clubs across the district. A further three visits took place, bringing in new members to the growing team. After the May 2016 visit it was agreed that the team would try to take the training model to other hospitals and nursing schools. 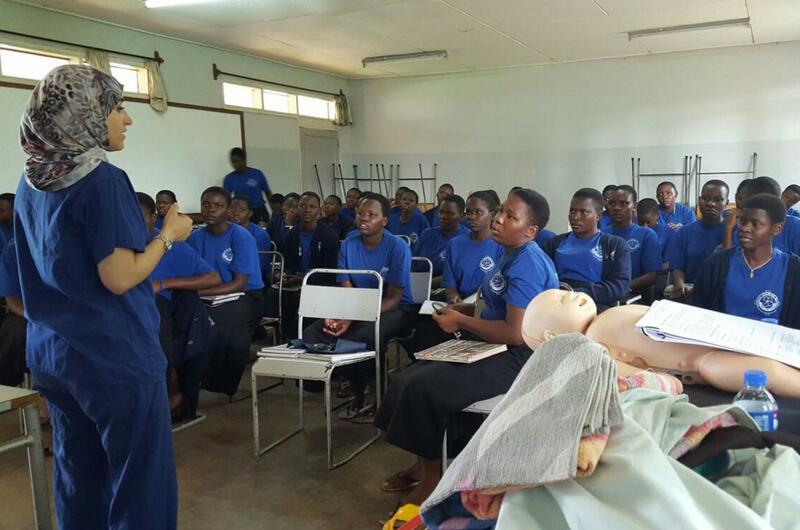 Kamuli Mission Hospital was receiving visits from other overseas groups and its facilities and skills had developed. Jim and his colleague Alice of Kamuli Friends knew of other hospitals and nursing in the area that might benefit from the basic training and a few of these were visited in July 2016. Ngora Freda Carr Hospital and Nursing School were selected based on the willingness of the hospital and school to take part in the training programme and the scope for making a real impact. There has been just one visit so far, in April 2017, but a second is taking place in March 2018. Again, these visits will be part of a Global Grant application to the Rotary Foundation, with the visits linked to refurbishment of hospital buildings. 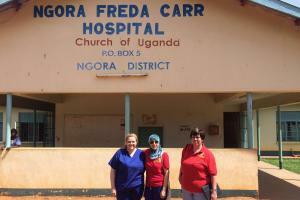 Read more about the visits to Ngora Freda Carr Hospital.